New Zealand derives most of its export income from its land in the form of food, fibre and via tourism from the natural capital in its forests, mountains and water. Other stuff like IT and smart manufacturing contributes, but to boost economic growth we rely heavily on our primary industries and tourism. Senior politicians have about the most difficult and thankless of jobs in our society. There are endless calls for more money to be spent on infrastructure, education, health and social services, and limits to the national piggy bank and its overdraft capacity. Our collective international experience over decades and different economic models is that markets are the best means of allocating resources and investment. But we have also learned that markets on their own do not deliver when it comes to many desired social and environmental outcomes. The reality is that governments must and do pick winners. Over the past 20 years forestry has not been one of those “winners”. Pastoral farming and tourism have been. Various government policies have supported and boosted these industries and this has served our national accounts very well. Dairy remains our single largest export earner and tourism is undergoing rapid growth. Over the same 20 years there has been some rationalisation and productivity gains in wood processing, but only limited new investment, and no expansion of the commercial forest plantation estate. Along with uneven age classes and the reality that to be internationally competitive wood processors need big scale, in some regions wood processing investment is now constrained by actual or forecast limits to log supply. Further expansion of the dairy herd is not the answer to on-going economic growth. Our waterways simply can’t take any more cows. Both safe food and tourism, while likely to remain our primary export earners, could be severely disrupted if we don’t move quickly on environmental degradation to protect and enhance the Pure NZ brand. We need to put in place a plan to meet our Paris climate change commitments, at least cost. Forestry is not on the political agenda now because foresters have lots of votes, or that the public has suddenly developed a love affair with Pinus radiata, but because forestry offers some solutions. As a land use it offers greater economic growth prospects than dry stock farming on much of our hill country; it can help with water quality to protect our international clean green brand, and it is a way to meet our international climate obligations at least cost. These are good rational reasons. But for commercial forestry to be accepted by the public, and therefore the politicians as a “winner” they are not enough. There is a job still to be done. Harvesting and engineering practices need to minimise sediment and debris runoff during intense rainstorms. We need to up our game on this one. 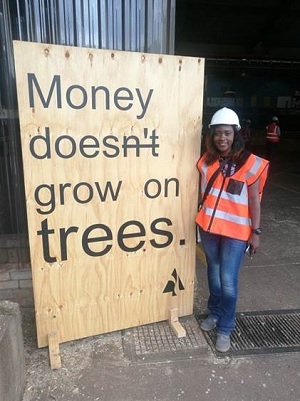 We must stop hurting people at the forest work sites. Mechanisation is playing a big part but more must be done in the training and crew culture areas. We need to tell positive stories – on national TV, in the schools, to the local media, in social media forums. This will take money, resources and a long-term effort. Perceptions and attitudes can take years to alter. Until they do we will not attract the best recruits to fill the professional and skilled operational jobs in this industry. Forest growing and domestic wood processing must be highly profitable, and visibly so to the wider public. The Forest Growers Levy Trust and its secretariat, the NZ Forest Owners Association, are aware of these challenges and are allocating levy funds accordingly. They do, however, need political support in these efforts. Whatever the election outcome the forest industry leaders are keen to engage to help make a more prosperous New Zealand.